I had an extremely fun and productive week at Sebring with some good friends and clients of mine. 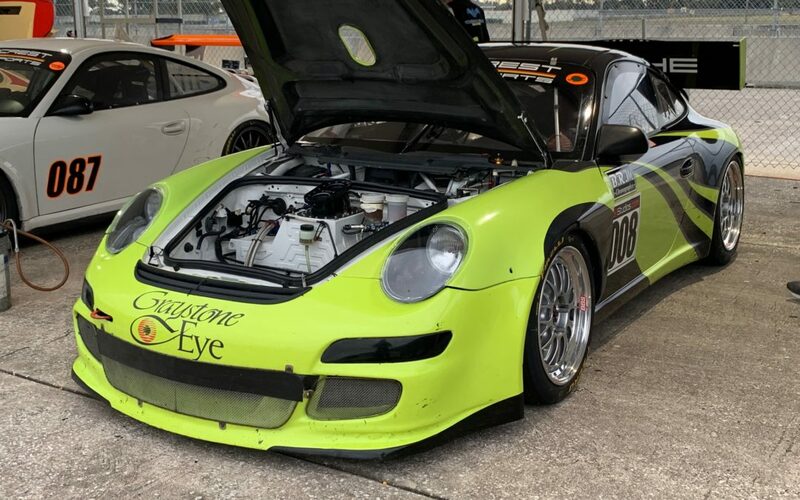 We were there for a very popular annual racing event called The 48 Hours of Sebring, but the week actually started before that with David Murry Track Days, which is a terrific opportunity to get open lapping and testing in. The two guys I was working with were there with Goldcrest Motorsports, who provided the prep and trackside support for them. Not only did the Goldcrest crew maintain the cars, but they helped get them tuned and optimized for the track. 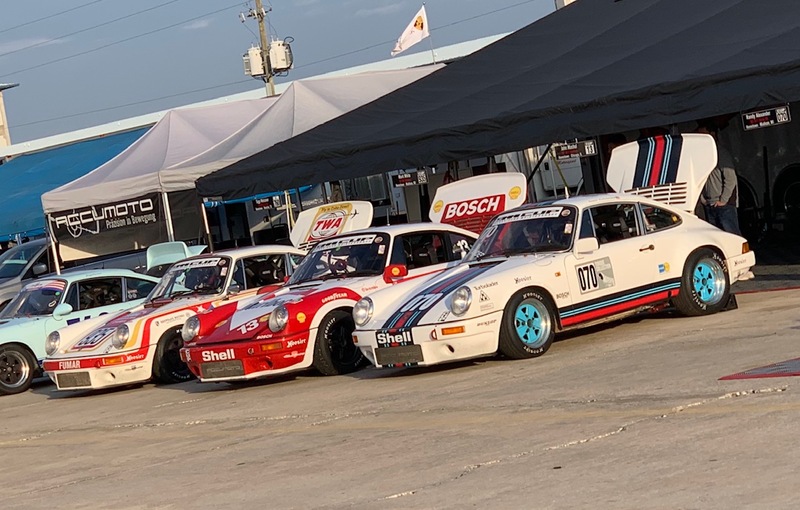 The Goldcrest Motorsports setup at Sebring was impressive! During our couple days with David Murry, we dialed in the cars and set baseline reference laps that gave us a target for the week. Neither one of my drivers has had much time at Sebring, so those extra days were extremely helpful! Due to the very flat nature of the circuit, I could coach through the radio from a vantage point that let me see a lot of the track, and that was an advantage, too. As the week unfolded, my drivers continued to progress at a rapid rate, and they really put in some competitive performances in their respective races. It was a lot of fun to watch them gain confidence in themselves and in the track, and to see how that improved their racecraft. All of that work put together resulted in some great race results for my drivers. After a long week, one of the best feelings is to have satisfying results and clean race cars to load back up on the trailer! How many retro sponsor logos can you spot on these cars?